Manchester C-Charge by 2013 | What Car? 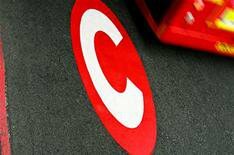 The Government has confirmed that Manchester will be offered 1.5 billion towards transport improvements, which will lead to a Congestion Charge scheme being introduced in 2013. Proposed transport improvements include a 22-mile extension to the Metrolink tram, improved bus services across Manchester, 120 extra yellow school buses and the doubling of park and ride provision. The majority of these improvements would be in place before the Congestion Charge was introduced. The changes would cost 2.8 billion, with the Government signalling that it will fund 1.5 billion through its Transport Innovation Fund (TIF). The other 1.3 billion will be raised by the Manchester districts affected using a Congestion Charge. Under the scheme, drivers would pay 2 to enter the outer ring heading into the city during morning rush hour, another 1 to enter the inner ring and then an extra 1 to exit each ring during the afternoon. In a significant change from London's scheme, charging will only take place during peak periods: 7am-9.30am and 4pm-6.30pm. The proposals are likely to face significant opposition. Stockport, Trafford and Bury councils all oppose the scheme, while Bolton council has pledged to hold a local referendum on the matter. The plans will now go to public consultation across Manchester's 10 districts, with the representatives of the regions then voting on whether to go ahead with the plans. If three of the ten district leaders vote against the plans, they will be scrapped.